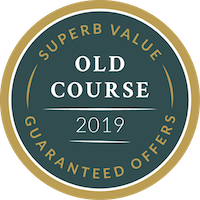 What better way to add a bit of spice to your vacation than to incorporate a golf cruise into your itinerary, where you can enjoy the exceptionally sheltered conditions in the Inner Inverness Firth, Caledonian Firth and Loch Ness. Board the Scotia W, a converted traditional fishing boat which is fully crewed with a skipper, cook and 2 crew members, and enjoy the spectacular backdrops in your own private cruise vessel. 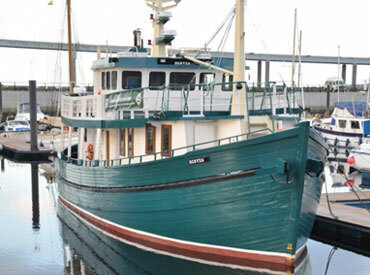 The boat is beautifully crafted and has 4 twin cabins found over its 3 floors. Drumgolf has put together a 3 day cruise including some of the finest links in the Highlands and we would be delighted to incorporate this into a larger itinerary (maximum group size of 8). Your itinerary would include a round at Castle Stuart, Royal Dornoch and Nairn golf course, and would also incorporate some outstanding sightseeing opportunities such as dolphin viewing at Chanonry Point and Urquhart Castle. All meals are included during your cruise, including complimentary tea, coffee, biscuits, fruit and soft drinks.